The 4th Annual Theme Park & Resorts Asia Congress is now under preparation! Of course we have invited high standards speakers, in addition, we also invited many local tourists' destination and developers to make our conference be a good civil servant. Shenzhen Overseas Chinese Town East (OCT East), located at Dameisha of Shenzhen, China, covering an area of 9 sq. km and elaborately designed by OCT Group, is the first domestic large comprehensive national ecological tourism demonstration district integrating various themes, such as relaxation, vacation, sightseeing tour, outdoor sports and science popularization education. It mainly includes six parts, i.e. Knight Valley Eco Park, Tea Stream Valley Holiday Park, Wind Valley Sports Park, Huaxing Temple, Theme Hotel Cluster and Tianlu Mansion, embodying the harmonious coexistence between human beings and the nature. Fantawild Holdings is currently the only company in this country designing, manufacturing and exporting of large entertainment technology theme park solutions, and is also the only company operating a full industry chain from theme park concept design, research and development, content production, construction to market operation. 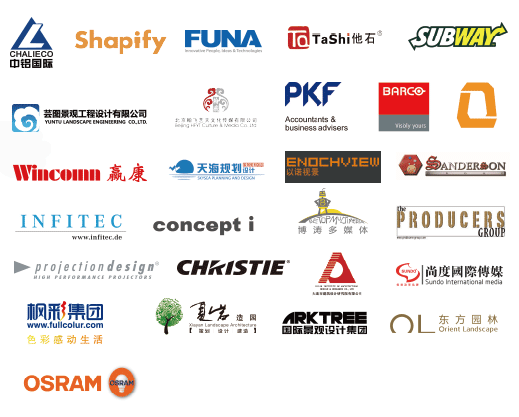 We created a number of entertainment technology theme parks with our intellectual properties, such as "Fangte Happy World", "Fangte Magic Kingdom", have successfully established and are operating several theme parks in Wuhu, Tai'an, Qingdao,Zhuzhou, Shenyang, Zhengzhou and Xiamen, and have exported them to Iran and Ukraine. It aims at achievements of human civilization and promotion of world culture. As the first brand of Chinese cultural theme park, Window of The World in Shenzhen not only includes more than 130 places of historic interest and scenic beauty, the ethnic customs performance in the whole world, showing the essence and cultures from different countries as well as the exotic folk customs, but also brings the dynamic trend and the most rich and colorful "World tour" to tourists with more stylish entertainment elements. It is the first theme park in china, and it's still focusing on spreading Chinese culture and being the world class scenic spot throughout the management. Shenzhen Splendid China & China Folk Culture Villages insist on creating a Chinese styled management team and make the theme park a real wild china. Shenzhen DI WANG SHEN GANG ZHI CHUANG Inc.
DIWANG Sightseeing-the Window between Shenzhen and Hongkong is on the 69th floor in DIWANG Building and the highest themed tourist attractions in Asia. It only takes you 50 seconds to get to the top of the building by elevator, and you will be surrounded by more than 15 amazing attractions. Shenzhen Safari Zoo is the first free-ranging zoo in China which is close to Xili Lake and covering an area of about 600000m2. Inside, kinds of wild animals live in the works of god. In addition,cost 8 million RMB, the world advanced 5D show the Liger was created here to shock every visitor. The tourist center was founded in 1984. The famous Xiao Meisha Ocean World is located in this center. The Xiao Meisha Hotel is just by the sea coast where the tourist can enjoy their vocation in coffee bars, swimming pools and all kinds of wellness entertainment. The Xiao Meisha Resort is famous for its beach entertainment such as diving, motorboat, glider and etc. Especially in summer, everything is full of vigour here. The Ever Green Resort is located in Moon Bay Shenzhen and it's famously scenic spot, with interesting vegetation, and is a member of the Ten Major Attractions of Shenzhen. Based on firm principles of health, nature, environmental protection, family, honesty, respect for work, helpfulness, and kindness, the staff of Evergreen Resort have made every effort to establish a scenic spot for enjoyment of leisure, nature, healthy activities, environmental protection, culture, art, and wholesome family activities. Activity choices include pottery making, fishing, games, viewing of unusual works of art, dipping for goldfish, and many others. All these activities are enjoyed in close contact to nature, field, and garden. Shenzhen Southern Da Ao Hotels Inc. Located in one of the most Beautiful Coast in China, Daao Hotel is just beyond Hongkong. From the hotel, we can walk into the Daao Bay Coast enjoying delicious sea food, having a cocktail party and doing anything relaxing. Far away from the fast pace city center, visitors can enjoy their time with the Earth. Shenzhen Happy Valley is a latest mega theme park developed OCT covering an area of 0.35 million square meters, and it's a theme park with participation, ornamental, entertainment and interest. From 1998, Shenzhen Happy Valley has gone through 5 expansions, and finally became one of the largest leading-edge modern theme parks. In 17 years, 40 million visitors from all parts of the world have been received. As one of the leading company, Shenzhen Happy Valley will manage to make a new standard for China theme parks by keeping pace with times, improving culture tourism industry and forging a smart scenic spot with information technologies. In January 2014, the first phase of Zhuhai Chimelong International Ocean Resort, including Zhuhai Chimelong Ocean Kingdom, Zhuhai Chimelong Hengqin Bay Hotel and Zhuhai Chimelong International Circus City, was completed and opened to the public. Having attracted more than 500,000 visitors during the 2014 Spring Festival, the 3 projects under Zhuhai Chimelong International Ocean Tourist Resort was an industry miracle. During the 4th Annual Theme Park & Resorts Asia Congress, TEA Panel will be one of the most amazing sectors, in which the experts of TEA will bring us the latest news and analysis of the industry. Mr. Chris Yoshii is the Global Director of Economics, DE+E, Asia .Over the past 25 years, Chris has overseen and spearheaded studies that encompass Destination Resorts Development, Hospitality, Leisure & Tourism Planning, New Town & District Planning, Urban Regeneration, Industrial Analysis, Business Planning, Investment Consulting and the Economics and Financial Feasibility of mixed-use urban projects. These projects often entail market analysis, programming, financial analysis, economic impact analysis, management planning & investment analysis. Mr. Aaen has participated in a broad range of themed entertainment facilities and cultural development projects worldwide. Mr. Aaen brings a wide background of experience to ECA's assignments through his involvement in a variety of consulting assignments in the recreation area as well as his direct strategic planning experience in international attraction, theme park and cultural development. Mr. Aaen has consulted for clients in Asia, Australia, Europe, Middle East, Mexico and Latin America and throughout North America. Mr. Aaen has conducted feasibility studies and provided advisory services for key international clients such as Universal Studios, LEGOLAND Parks (Merlin Entertainments), MGM Studios, Village Roadshow, Khazanah Nasional/TAR, Sanrio, HIT Entertainment, OCT Group, Ocean Park (Hong Kong), KidZania, Singapore Tourism Board (STB), Genting Group, among others. Mr. Aaen has extensive experience throughout Asia with projects in China, Hong Kong, Macau, Singapore, Malaysia, Korea, Vietnam, India, and Thailand, among others. Jonathan is Principal-in-Charge on many large-scale projects across the globe. In his current role of Managing Principal at our Orlando office, he specializes in the design and planning of projects in the Hospitality, Cultural + Entertainment, Commercial + Mixed-use, Government, Healthcare + Proton Beam Therapy, and Corporate Interiors markets. Jonathan's design approach speaks to the experiential philosophy that visitors and guests today want to be informed and entertained. He believes that by focusing on themes and messages that "tell a story," the better able we are to design a great hospitality experience that translates to bigger and wider appeal and lasting memories. launching and operations of numerous world class theme parks and water parks since the mid 1980's. Thanks to his unique talents, experience, hands-on approach and attention to detail, the businesses he has been involved with have won numerous awards for excellence and still trade profitably in todat's demanding tourism and leisure industry. AVIC Aviation World debuted with its concept and planning. This year, we are ready to learn more about the latest updates of AVIC Aviation World. international consulting companies. With his diversified working experience, Wang Xiao devotes himself to themed entertainment consulting in integrated resorts and mixed business units. Zheng Hu, Vice President, Shanghai Animation Film Studio. Shanghai Animation Film Studio was established in 1957 as the only professional studio in animation products and the largest animation base. The Monkey King caused havoc in Heaven, Reed, Three Monks, The Lotus Lantern and etc. were all made by Shanghai Animation Film Studio, which won a lot of international awards. In addition, Ink Animation and Paper Folding Animation were all created here. We respectfully invited Zheng Hu, Vice President of Shanghai Animation Film Studio, to show us how can we rebuild our classics and make the IPs valuable. Yang Lei, CEO , Dream East Culture Investment Inc.
Chinese cultural as the keynote and our proprietary intellectual properties as the core, we aim to develop the cultural industry of China from a global perspective and connect the world together and spread love, joy and positive energies across the world with the five-thousand-year history of China. Mr. Yang will show us how Dream East grows with IP and culture. Maggie joined BBC Worldwide Asia in 2006, and she heads up its consumer products and live events business across Asia. BBC Earth, Top Gear, CBeebies and Walking With Dinosaurs are Key brands of BBC. Maggie will show us the latest concept of CBeebies Edutainment Centre and explain edutainment to us. Let's go and see. Victor Zhao, works as Manager of Large & Special Project Management Business Unit, Construction Business Line, Bureau Veritas Greater China, and Project Director of Shanghai Internal Themed Park Project served by Bureau Veritas. His experience in project management of large & special projects in domestic and overseas extends back over 17 years. In the interim of Shanghai 2010 Expo French Pavilion construction and operation phases, he was appointed directly by French Government to serve as technical director and deputy pavilion director successively. At present, he manages the Large & Special Project Management Business Unit with a core team of 10+ top international and domestic experts and 100+ technical professionals specified in international theme park project management field. And thanks to the distinguished performance in the field. Mr.Rao is a specialist in the legal service of copyright, trademark, patent, unfair competition, network, telecommunications, radio and tv, and intellectual property and culture industry. He is very experienced in IPs including PC software, information network dissemination, communication law and etc. Hu Xiaoying is a specialist in tourism real estate planning and research. She is very experienced in integrated marketing, product development and project planning. She will analyses the relationship between theme parks and real estate at 2015 Conference. Delegate Sponsor Speaker, Please Contact Me.